There is no better way of supporting ROKPA than to combine one’s own passion with fundraising. You love running marathons – why not let yourself be motivated with a contribution for a good cause? You enjoy painting – why don’t you auction off your artwork to benefit people in need? Or you could raise funds on special occasions such as birthdays, anniversaries or weddings. By request, we are happy to deliver information materials and pay-in slips for your special day. Become inspired by the examples of fundraising events of our fantastic donors listed below. 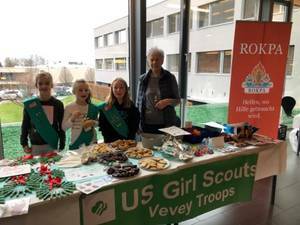 Girl Scouts of Vevey and International School of Lausanne support the ROKPA Women’s Workshop. 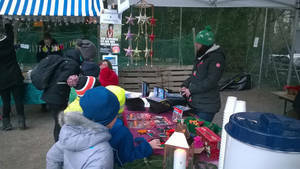 In the lead up to Christmas the International school of Lausanne hosted a Winter Market. Products from the ROKPA Women’s Workshop were available to admire and buy at the market. The girls were very enthusiastic to display the products and support ROKPA. From sales and donations the girls raised an amazing amount of 180 Swiss Francs. Moreover, the initiative inspired Joanne Heeson, one of the Scout leaders, to become a ROKPA Project Sponsor! 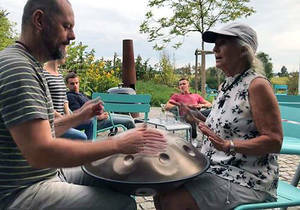 Thomas Würmli, owner of the handpan shop www.raven-spirit.ch: "In mid-November I got up one morning and suddenly had the impulse to turn Black Friday into White Friday and take the opportunity to make something meaningful out of it. That's why we donated 5% of all proceeds from 23 & 24 Nov 2018 to the ROKPA Soup Kitchen in Nepal and give homeless people a warm meal. The campaign was a great success and the customers were very happy about the idea. I have now been able to transfer 1,200 Swiss Francs to ROKPA." Christian Bruppacher’s friends have given the „birthday boy“ (center) – and ROKPA – a great joy. This spring, Christian Bruppacher has celebrated his 50th birthday together with 50 guests at Rosaly’s in Zurich. It was a lovely party. He asked his friends to forego presents and instead to put something into the ROKPA Donation Box. This produced an incredible 2295 CHF and 20 EUR – indeed a fantastic present to benefit people in need. After 35 years in the Federal Administration, 30 of them in the Federal Statistical Office, Daphné Müller has entered retirement at the end of February 2018. She has been following the activities of ROKPA for many years and has already visited concerts and performances by ROKPA Children. Therefore, instead of a retirement gift, she has asked her work colleagues to donate money to ROKPA. This came to around 300 CHF. 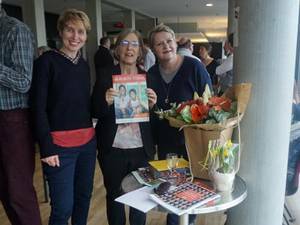 In September 2017 the Montessori-Kinderhaus an der Aare celebrated its 30th anniversary and organised a street festival on this occasion. In addition to many game offers, there was also a stall, where self-made seed balls and soaps were offered for sale. Everyone was so busy with games and celebrations that hardly anything was sold. As a result, the idea arose to continue the sale in the weeks following the festival and to donate the proceeds to the ROKPA Children's Home. 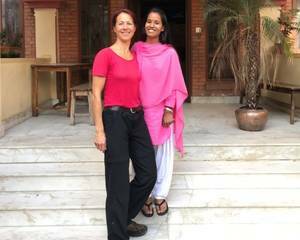 When Doris Holenstein goes to Nepal on her holidays, she doesn’t just have her own luggage with her – she also repeatedly brings clothes and toys for the ROKPA Children or for the people in need in the ROKPA Soup Kitchen. Thanks to her voluntary efforts, ROKPA saves on the expensive cost of transport and is able to make poverty stricken people happy. Are you also traveling to Kathmandu? Do you have some spare room in your suitcase? We look forward to your call at +41 (0) 44 262 68 88 or your email at info (at) rokpa.org. 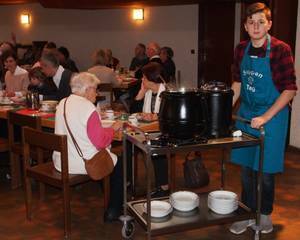 On the first Sunday in Advent every year, the ecumenical working group „Eine Welt“ Frenkendorf-Füllinsdorf organizes a soup day in support of a selected aid organization – in 2017 for ROKPA. Everyone is invited to this delicious lunch of Bündner barley- and pumpkin soup with bread free of charge and can donate as much as they wish for the selected aid organization. For dessert, there are homemade cakes. It is always a joyous get-together where the young and young at heart alike enjoy the fact that they don’t have to cook themselves and, at the same time, are able to make the world just a little bit better with their donation. 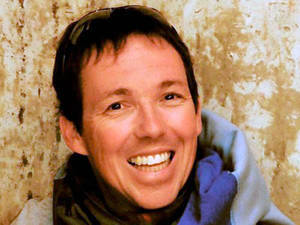 With Himalayatrek, his travel company, Roger Hess offers small groups tailor made tours through Nepal and other regions of the Himalayas with plenty of local color. Each time he and his clients stay at ROKPA Guest House, he donates 100 Swiss Francs per group member to ROKPA Projects. 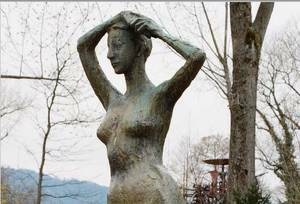 A fundraising event for ROKPA – the designer and social educator Ursina Vogt realized that the naked sculptures of women in Zurich have deserved a worthy piece of fabric. She made 55 ties and auctioned them off at the beginning of 2017, with all proceeds benefitting the planned expansion of the ROKPA Women’s Workshop in Kathmandu. In the end, the total amount of the donation reached the staggering sum of 8‘080 Swiss Francs! Marlis Lüscher started a group which, under her leadership, makes puppets in accordance with the pedagogy of Rudolf Steiner – the so-called Wal-Ro puppets. The complete proceeds benefit orphaned children as well as those from poorest families in the Tibetan areas of China. With the sales of the puppets, thousands of Swiss Francs per year can be donated to ROKPA. Have your birthday present be donations to ROKPA: ROKPA donor Silvia Schweizer thought this was a great idea and put it successfully into practice in 2017. «A friend gave me the idea: instead of birthday presents, organise a fundraiser for a charitable institution. Delighted, I translated it into action: in this way, I could give the joy of being presented with a gift to people who may not have been as lucky in their lives as me. 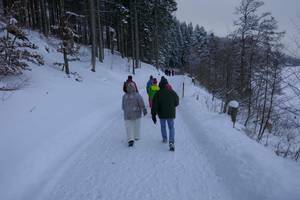 During the birthday party, which consisted of an open door day on the birthday itself as well as a winter weekend in Schwarzwald in the company of a few good friends, the idea was very well received. In order to give my guests a choice between cash and pay-in slip, I set up a donations box and also distributed ROKPA flyers with pay-in slips. In the end, we were able to raise a substantial sum of 1'350 Swiss Francs, which gives me great joy! Getting to school for children in the Tibetan areas of China is now also possible thanks to school children from Switzerland. 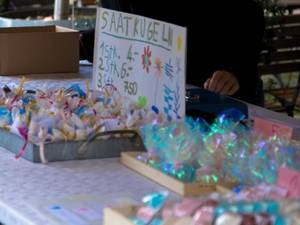 After a ROKPA workshop about the topic of „Helping“, just before Christmas 2016, made many small artworks were made by the students of the Montessori school in Zurich, which they then could sell during a bazaar. The parents and school friends were acquainted with ROKPA’s work with a lovely concert and a garden celebration. The proceeds as well as many generous donations could be used by ROKPA for its many projects. A heartfelt thank you to the children and their teachers for their fantastic engagement. 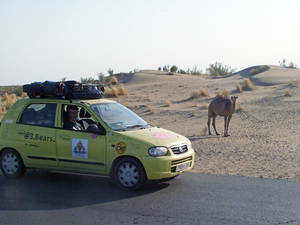 An incredible expedition for three young men from England: In the summer of 2013, Johnny, Bertie and Geordie travelled 15,000 km from England to Mongolia in a small car. The idea behind it: raising funds for ROKPA. 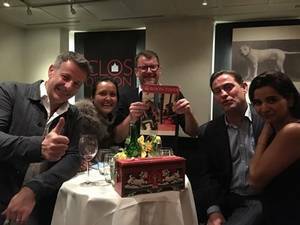 An audacious exploit for a good cause that raised around 16,000 Swiss francs for ROKPA! Would you like to start your own fundraising project to support ROKPA? Contact us via phone - +41 44 262 68 88 – or email us at info (at) rokpa.org. We will be happy to provide you with all the necessary information and materials to get you started.